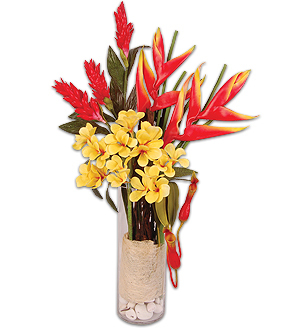 A splendorous profusion of tropical beauties in a tall clear vase. Ginger flowers, Crab claws, and Plumerias. Measures 120cm.